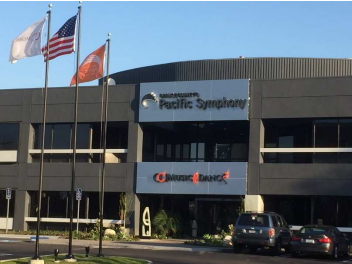 Relocation Strategies was retained to execute the consolidation of multiple locations for Hanwha Techwin’s establishment of its Center of Excellence (COE) in Cypress. Hanwha had just purchased Samsung C&T Automation, Inc., the worldwide leader in high speed, high precision SMT machines, and was outfitting the COE to showcase four fully operational SMT lines. 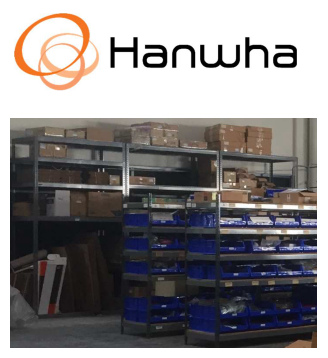 Hanwha was relocating from two locations that had separate lease expirations, with one expiration being well before construction at the COE was sufficiently done to allow for any items. Relocation Strategies utilized offsite storage in conjunction with a series of moves to avoid holdover rent at either old location, conducted a one-time move into the COE that avoided conflict with continuing construction and executed the necessary decommissioning (including wall reconstructions and electrical removal) to meet the landlord requirements for returning the original locations. Relocation Strategies was responsible for project coordination, the sourcing and management of movers, relocation of office and warehouse contents, including pallet racks, and decommissioning. Disassembly and reassembly of pallet racking. Relocation of inventory parts – labeled, packed and restocked per plan. Returned vacated premises in manner that avoided holdover rent or backcharges. While we run a successful business, relocating the company wasn’t our specialty. From keeping us on track with timelines, presenting us great vendors to choose from, attending construction meetings, numerous follow-ups and working with our staff, your handling proved to be invaluable to RSI. Uprooting your business to a new office is a significant undertaking. With the typical demands of jobs, it’s unfeasible to take on a move without disruption to your role and business. This is where Relocation Strategies came into play. They were able to relieve a large part of the moving burden, so much so that I was even able to go on vacation a couple of weeks before our office move. I’d recommend them to any business that wants to see their office move go more easily and smoothly. Michael & Corey with Relocation Strategies allowed me to leverage my time taking care of all the move details. They relieved an enourmous amount of stress during our move operation. They were conscientious and present during all aspects of the move. I will be looking for ways to leverage their services into my Project Management practice. Thank you for assisting us with our relocation project. We were certain we would be paying another month’s rent and have a large amount of refuse. Instead, we netted over $71,000 in cost savings and proceeds from items you were able to sell. Your ability to think outside the box provided solutions which enabled us to not only vacate our facility on time, but stay under budget as well. By soliciting and reviewing bids, Relocation Strategies St. Louis helped us save 30% of the cost to decommission the building. We are extremely pleased with the project management services you provided and couldn’t have done this without you! Pie Consulting and Engineering needed to exchange and improve the majority of our office furniture at our Arvada headquarters location. This required an internal shuffle of employees, offices, computers, contents, and furniture in a short period of time. The RSI Colorado team handled every little detail on this project, including coordination with our furniture vendor, to get us back up and running immediately without missing a beat. This was a seamless transition, and RSI Colorado was a key piece of the outcome. A. Leonardo – Office Mgr. RSI Colorado took care of everything and did it with such a great attitude. RSI Colorado is a quality company through and through. From the first time contacting them, I was able to speak with someone and each conversation or meeting after, they went above and beyond to help me. With a relocation timeframe of 8 days from time of contact to finish, our project was handled with professionalism, swiftness and care. RSI Colorado was a key resource in the development, buildout, delivery, and relocation into our new 37,000sf veterinary facility. Having a single point of contact with such experience, professionalism, and attention to detail freed up the time I needed to run the hospital, and tend to our growth process. RSI Colorado provided critical coordination and move training with key staff, emergency services, IT, clinical, and client facing services, resulting in a seamless transition in less than 3 days. 2-10 Home Buyers Warranty needed to relocate 300 employees and contents to our new company headquarters within four days, all while balancing furniture installations and a tight Certificate of Occupancy deadline. The team at RSI Colorado was professional, attentive, and made this move extremely smooth for our company. From the first move meeting to the final day we couldn’t have asked for a better partner to accomplish this undertaking. Visit one of our national Locations! ©2019 Relocation Strategies. All rights reserved.